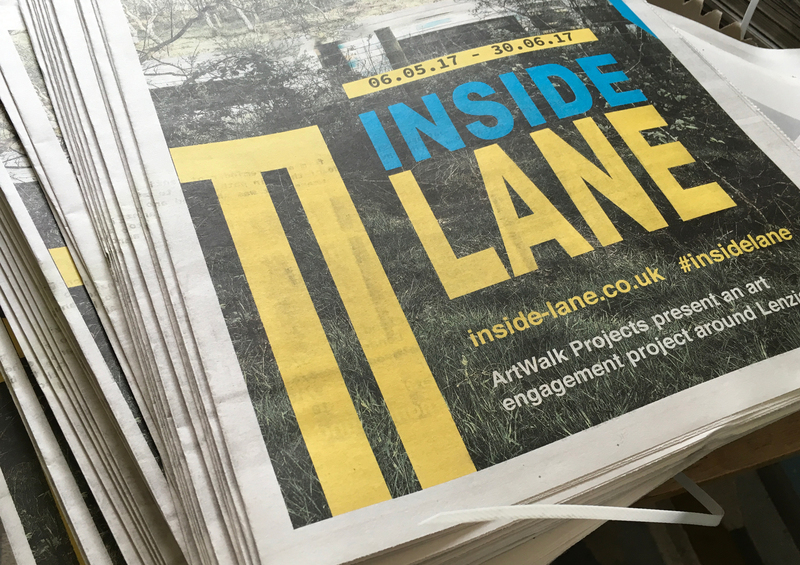 The ArtWalk is creating an art engagement project for Lenzie entitled 'inside lane' formed around an enquiry of the local public space. It brings together a series of events tqking place over a two month period: artists’ installations, temporary street interventions, writings, photography and conversations, working with artists: Jacqueline Donachie, Nathalie Holbrook, Deirdre Macleod, Rosy Naylor and City of Play, drawing upon transitions through Lenzie and its surrounding areas of Woodilee and Lenzie Moss. 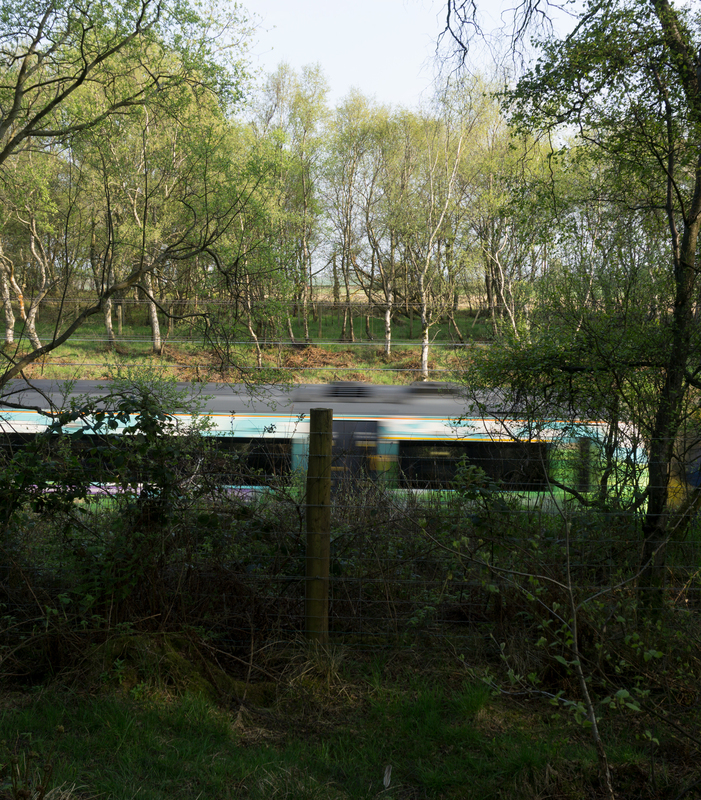 The project will connect up disparate, sometimes hidden, lost spaces, inviting the public to think about their ways through their public space, relating to local resident, pedestrian, cyclist and car user. Lane: as in “Lene-onion” comes from Gaelic “lèan” - meadow, swampy plain. Supported by Sustrans Scotland and East Dunbartonshire Council who are working on developing the public space of the centre of Lenzie for 2018/19. 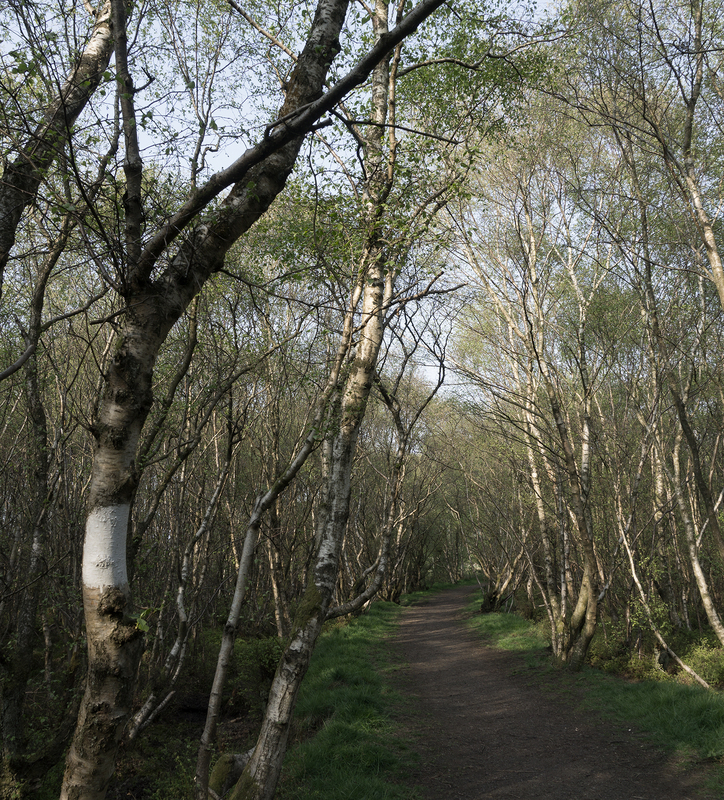 With thanks to Friends of Lenzie Moss. Event Popup: Saturday 20th May, 1-4pm - Come along to our popup outside Billington's on Kirkintilloch Road, for our artist's drop-in event. Event Newspaper: will be circulated around the local shops and library, pick up a copy from mid May, or download from here - You can also receive a copy sent to you, please email your address to rosy@artwalkporty.co.uk. 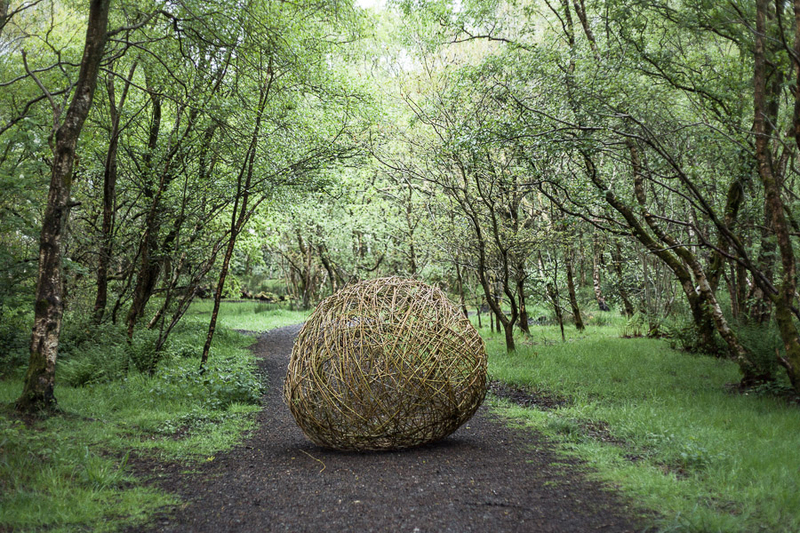 Jacqueline Donachie contemporary artist, living in Lenzie, has written a feature article for our art newspaper entitled 'The circle of park and run'. 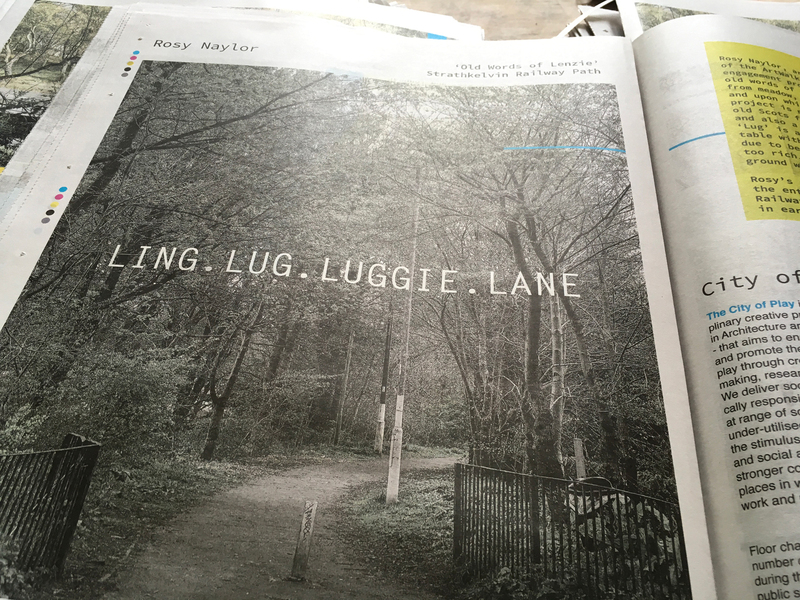 Rosy Naylor 'Luggie Lane' is installed at the entrance to Strathkelvin Railway Path, from the beginning of June. 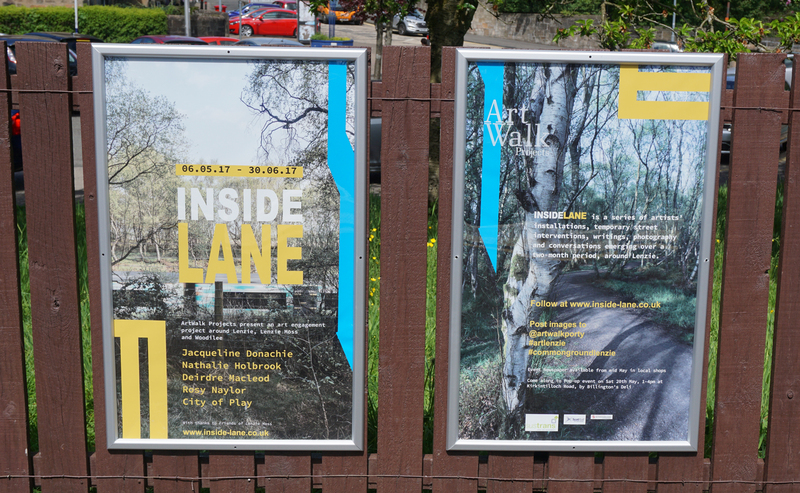 Join public realm artists, Deirdre Macleod and Rosy Naylor, on an artist-led sensory walk around Lenzie, all welcome. Deirdre Macleod is a contemporary artist whose practice investigates different practical, theoretical and material aspects of the city. 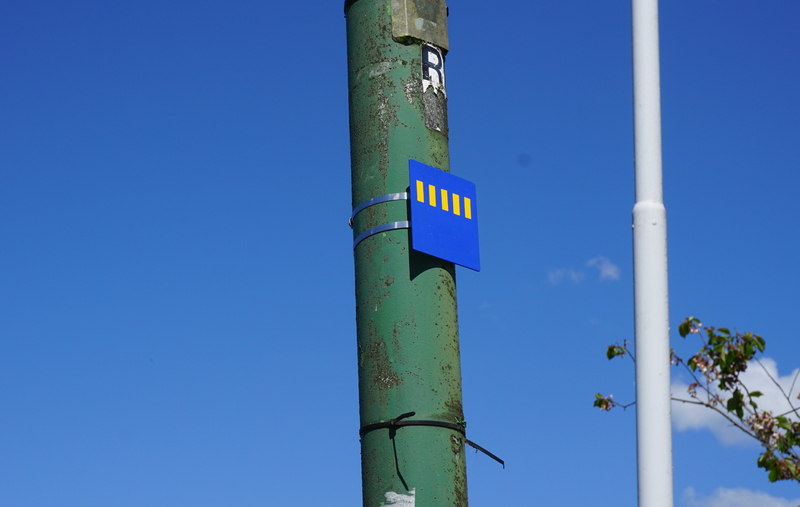 A contemporary artist with a background in Geography, she explores how we see and sense complex and multi-layered towns and cities, combining fieldwork with forms of drawing and painting which are connected, in some way, to the urban environment. 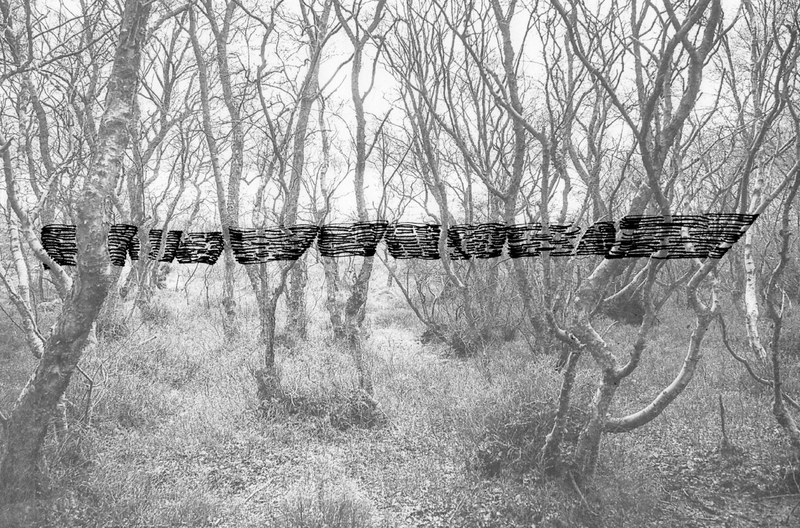 For 'inside lane' Deirdre has developed her project, Common Ground, as an informal, visual treasure hunt without a map. 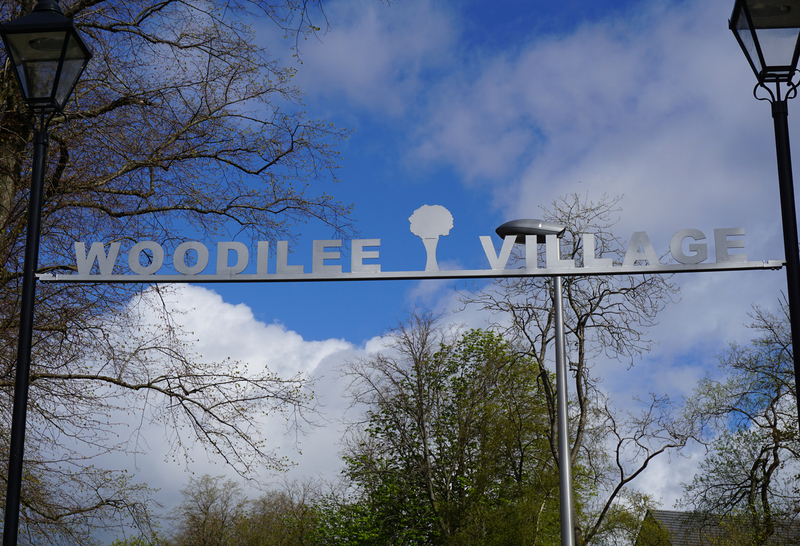 Participants will seek out a series of colourful metal paintings which will be installed across Lenzie village centre, local housing estates and the nearby landscape, collecting images of each of the paintings on their smartphone or camera. With their colours drawn from the local urban and natural environment, the paintings will be small and unobtrusive, but distinctive enough to be spotted on foot or on bikes by those looking carefully at their surroundings. 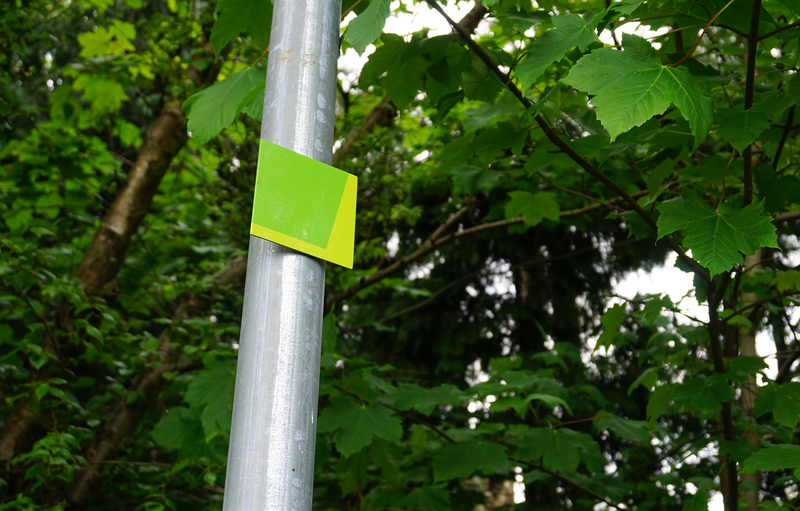 A seriously playful urban game, Common Ground encourages children and adults, whether residents or visitors to explore Lenzie on foot and on bike, visiting familiar and less familiar spaces, places and territories as they go. Nathalie Holbrook is an environmental artist and photographer. Holbrook’s works heighten the viewer’s awareness of their own relationship to land and the environment. She does this is in an elegantly understated way that connects the feeling of home to our understanding of the environment and our place in it. 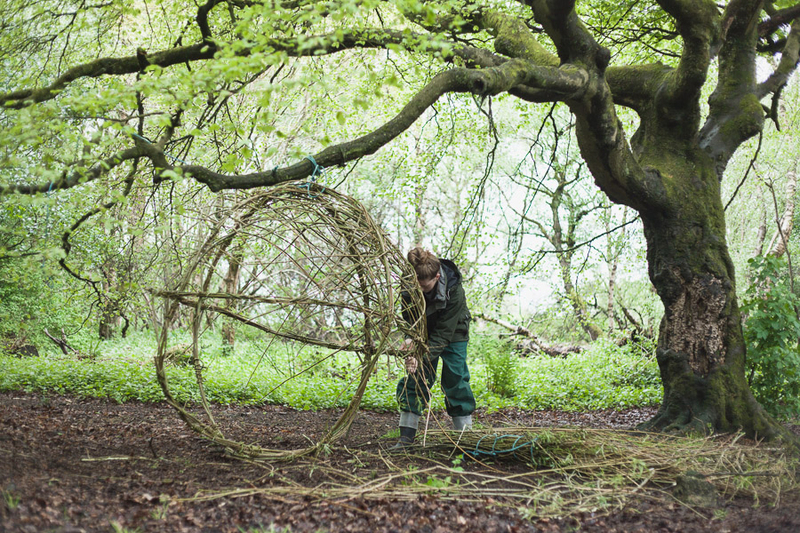 For 'inside lane' Nathalie will be creating a series of structures from gathered materials located in trees of the Moss. 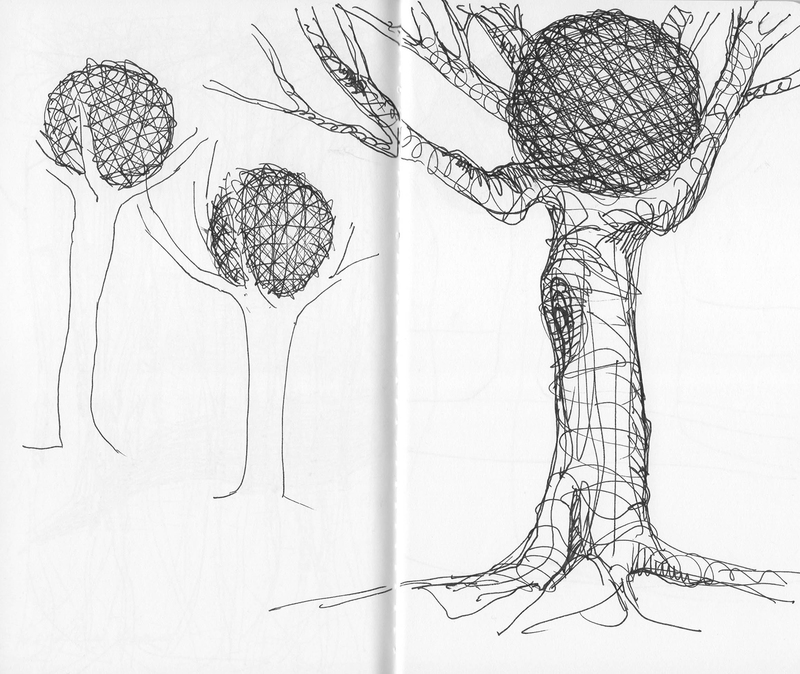 More information on her 'Tree Orbs and Bands' coming soon. Her works will be installed from around 14th May. The City of Play is a multi-disciplinary creative practice - rooted in Architecture and Urban Design - that aims to enrich communities and promote the child's right to play through creative place-making, research and design.We deliver socially and economically responsive design solutions at range of scales, to re-activate under-utilised spaces; provide the stimulus for active, creative and social activity; and create a stronger connection with the places in which we live, work and play. 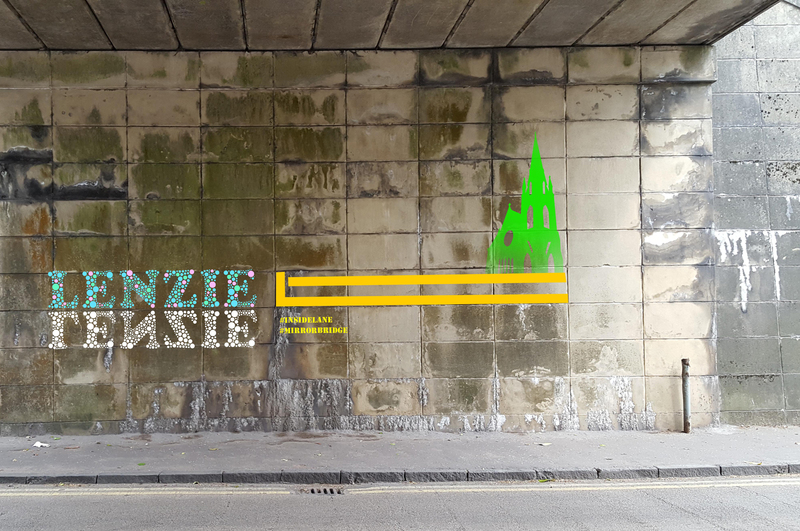 For 'Inside Lane' The City of Play will be doing some chalk floor-work marking the site of the old Mirror bridge by Lenzie station. The bridge was familiarly known as the 'Mirror Bridge' due to the fact a mirror was installed around the time of 1914 to help drivers negotiate the sharp, narrow bend. 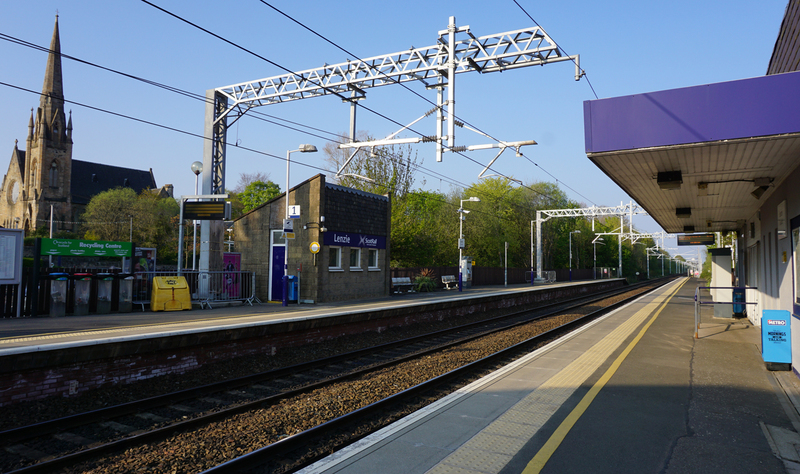 Kirkintilloch Road was later straightened in the 1960s with the original road from the station to the bridge no longer in use. 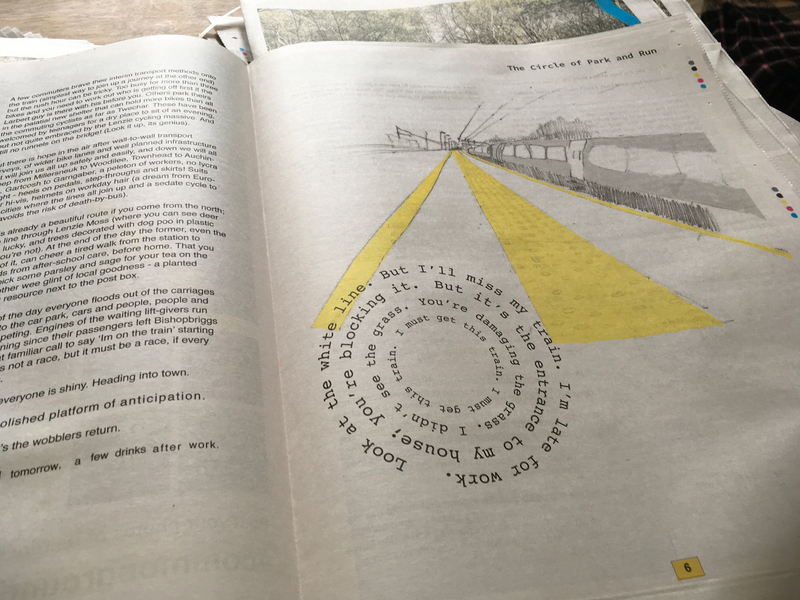 Our event newspaper is available in local shops from mid May featuring writing by local contemporary artist, Jacqueline Donachie. 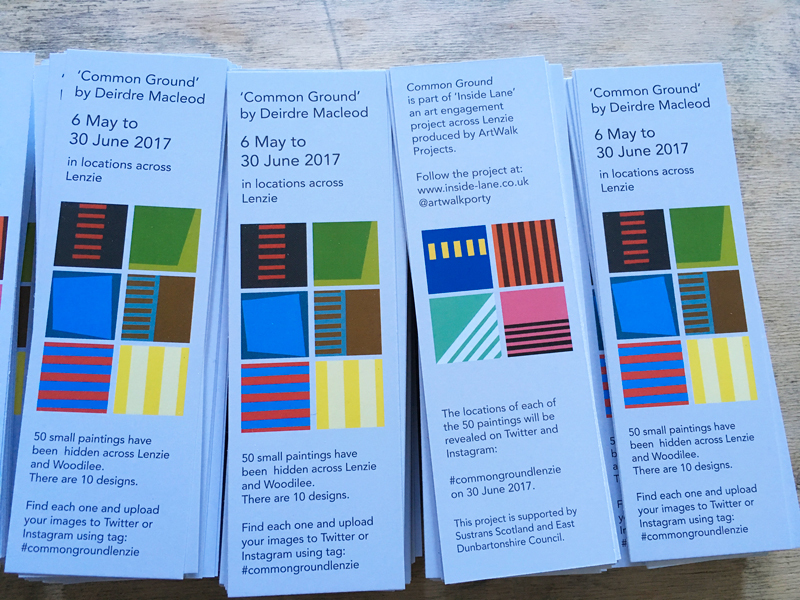 Come along too to our Pop-up Artist Drop-in on Saturday 20th May 1-4pm to meet the artists, at Kirkintilloch Rd, near to Billington's.